Fashion forward designs begin with a dream, inspired by lavish fabric, which in turn takes shape on a blank dress form…just as special handmade creations begin with a vision inspired by beautiful decorative papers and exquisite illustrated stamp collections! 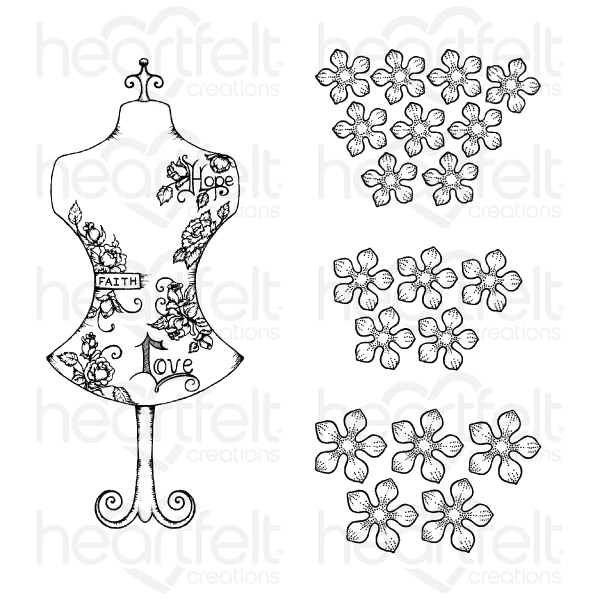 The Floral Fashionista Cling Stamp Set now brings both of these worlds together with a wonderful dress form image and dainty flower accents sized perfectly to accessorize all of the illustrations found with the Floral Fashionista Collection. 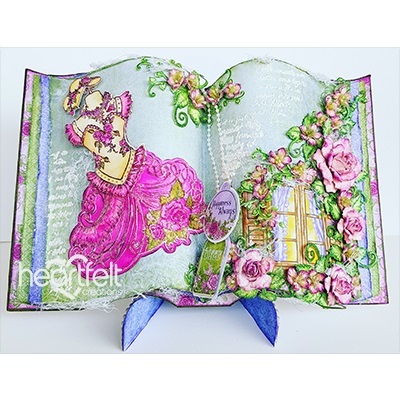 The perfect assembling of stamps to get you creating those fabulous designs you’ve been dreaming of! 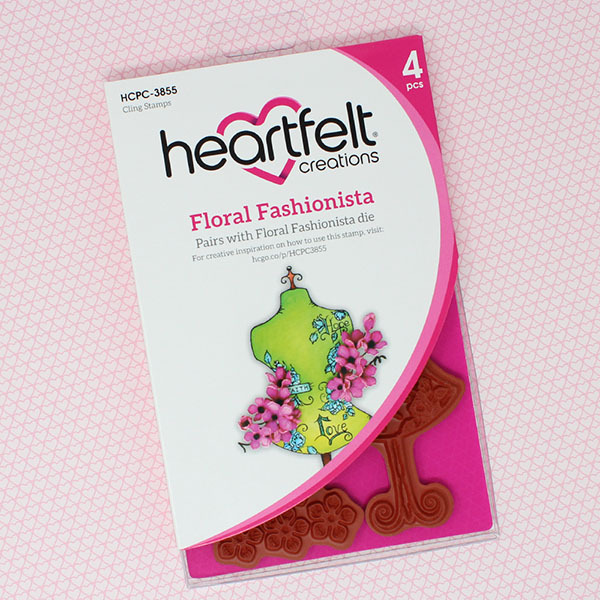 This cling stamp set is part of the Floral Fashionista Collection and pairs with the Floral Fashionista Die (HRT-DIE-7215). 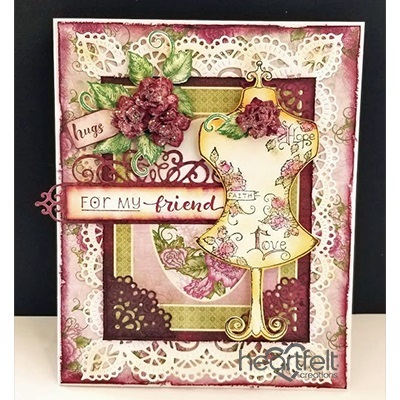 This stamp and die combination have been created for use with the Petite Florals Shaping Mold (HRT-TOOL-471) as well as the Deluxe Flower Shaping Kit.